Rafael will work with in silico software combining PBPK modelling with pharmacodynamics (PD) to link the in vitro release data from dosage forms to the clinical setting. With this approach we aim to predict the therapeutic equivalence (or lack thereof) of generic drug formulations, which is a prerequisite for marketing approval. Further, by running virtual clinical trials in special populations (e.g. children and those with GI disease), we will be able to determine whether performing bioequivalence studies in healthy subjects is an adequate approach to forecasting therapeutic equivalence in these special populations. 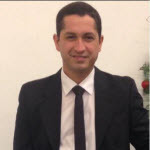 Rafael completed his master’s degree in pharmaceutical sciences at the Department of Pharmacy, University of São Paulo, Brazil (2010-2012). His master’s thesis was entitled “Determination of Biopharmaceutical Classification of drugs Solubility and permeability studies (in vitro)”.